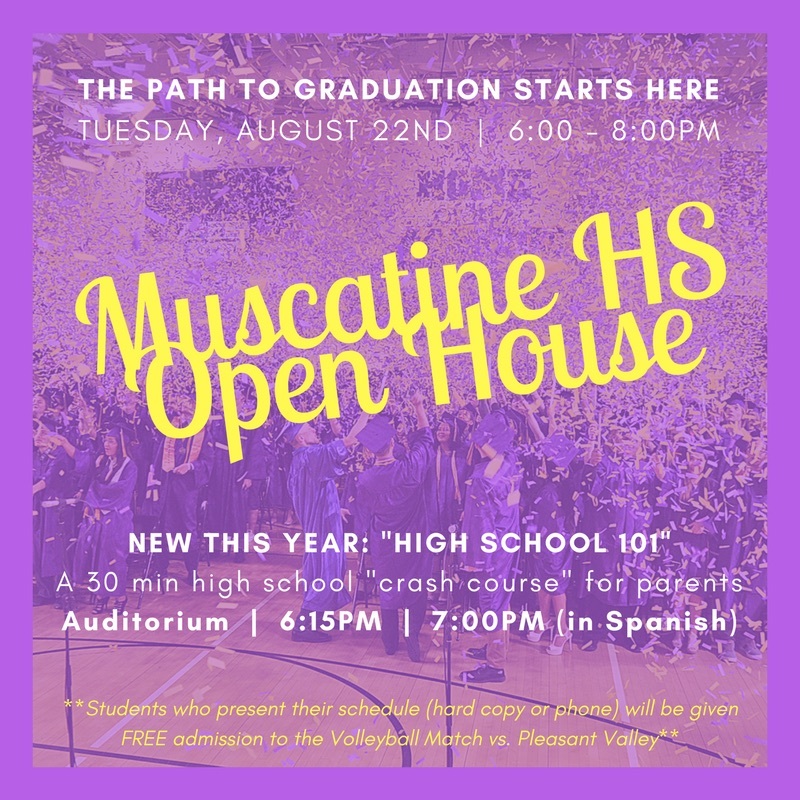 MHS Open House – August 22, 6-8 pm: This is a great opportunity for students to get their schedules, meet their teachers, and check out the building before school starts. This is also a good opportunity for parents to check out our building, meet the staff, and get comfortable with sending their child to high school. New this year we will have “High School 101” in the Auditorium (see attached flyer). This will be a quick 30-minute session for parents where school administration will answer your burning questions about how things work at the high school. The first session will be held at 6:15 pm, and there will be a session translated in Spanish at 7:00 pm. We hope to see you there! Parents and Students of Class of 2021 (Incoming 9th Grade) and New Students to MHS: New Muskie Day on August 23rd is a FULL Day. Parents of Class of 2021 (incoming 9th Grade): Please complete and return your Dental Screening Form Dental Screening Form to the Attendance Office. Parents of Class of 2018 Students: Please read this important information regarding up-to-date immunizations prior to the first day of school, Aug. 24, 2017. Aug. 23: New Muskie Day – 9th grade and new student to MHS. This is a FULL DAY OF SCHOOL! 9th Grade Students have MHS all to themselves! Students will go through their schedules and meet their teachers without having the upperclassmen on this day. ALL students, 9th-12th grade, need to have their picture taken for the yearbook, regardless if you purchase them or not. Remaining picture date is October 2. Keep informed on what is going on at MHS!